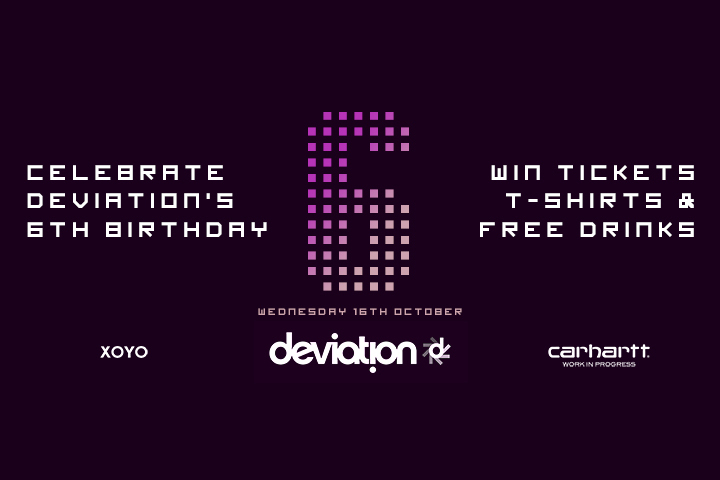 Our good friends at Deviation are turning 6 next wednesday and to celebrate we’re giving you the chance to win a pair of VIP tickets, 6th birthday t-shirts and free drinks on the night! 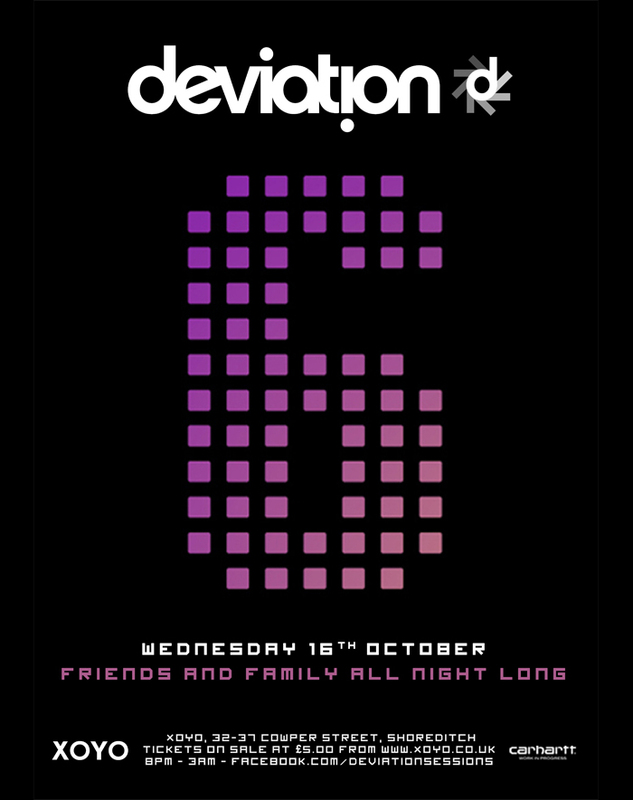 Deviation is all about family and for their 6th birthday on Wednesday 16th October at XOYO they’ve brought in some serious heavy weights (can’t tell you who, but trust us it’s big guns!). So, as it’s a family thing, we’re giving you the chance to party like the Deviation family do with VIP tickets, free drinks and 6th birthday t-shirts. We’re keeping entry simple; all you gotta do is drop us an email with your name and age to competition@thedailystreet.co.uk with “Deviation” as the subject to be in for a chance of winning*. We’ll announce the winner on Monday evening. Good luck! If you want to guarantee you get in, head to XOYO where you can buy tickets for £6 each. *You must be over 18 to enter. All entries will be added to The Daily Street and deviation mailing lists.